Our mission here at Carson Tahoe Veterinary Hospital is to provide the top quality in care for your pets. If you live in Carson City or the surrounding area in NV, then you have picked the perfect site to find a veterinarian. Our staff are trained and certified to provide the highest standard in care for our patients. The doctors here at Carson Tahoe Veterinary have over 40 years combined experience in veterinary medicine and animal wellness. Our hospital functions as both a general practice hospital, but also a 24 hour emergency on-call hospital. Our practice offers specialty care for cats and dogs. We also cater to special house-call services. Call today to inquire about some of our mobile euthanasia veterinary services. 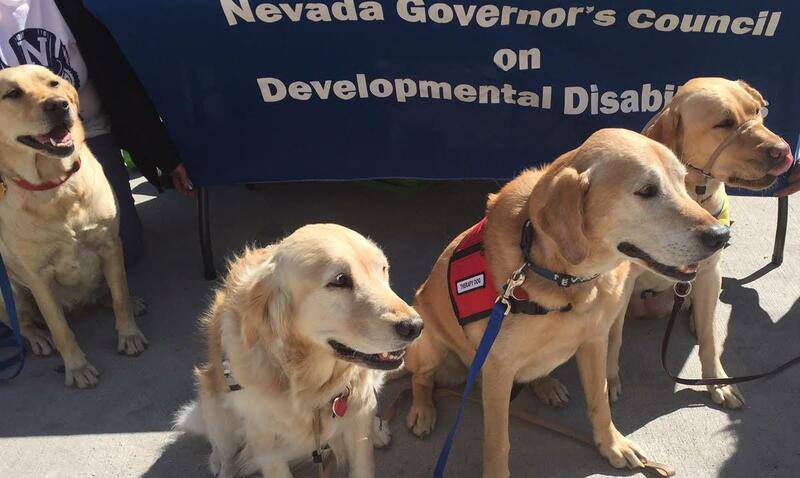 Carson Tahoe Veterinary Hospital has united with both the Nevada Humane Society and Canine Companions for Independence to sponsor animal health awareness within our community. Visit our Facebook page to learn more about community events and activities. Here is a photo from CTVH attending the CCI Disability Event! If you need help caring for your sick pet, need to inquire about spay/neuter availability, vaccinations, pet emergencies, or any other pet concerns please don't hesitate to give us a call and schedule an appointment today! Hope to see you and your furry friends soon! We have a number of resources for you to learn about how to take better care of your pets. Browse around and look at our articles and pet videos. The best veterinary care for animals is ongoing nutrition and problem prevention. If you want to ask a question call 775-883-8238 or email us and we'll promptly get back to you. Carson City Veterinarian Hospital is very easy to get to, and you can find directions on our Contact Us page. You can also subscribe to our newsletter which is created especially for Carson City pet owners. In between your veterinary visits, your pet will benefit from you reading these free informative articles. At Carson Tahoe Veterinary Hospital, we treat your pets like the valued family members they are. New patients receive 15% OFF first general wellness exam. Sign-up using the form or call us at 775-883-8238 to take advantage of this exclusive offer. Check out our low-cost vaccination clinic to keep Fido safe and protected! Walk-ins welcome, or call for details today! "Dr Lewis and Dominique have been so wonderful since we've going there. My cat went to heaven last night and they were so helpful, caring and took wonderful care of my Tiki, I cant thank them enough"
"Dr. Jahn has been our family vet forever! Friendly and helpful staff! This place isn’t just for emergencies only! Dr. Lewis is also a wonderful vet!"